 hunt for strength is a private small group training and one-on-one training facility located in fairfield, new jersey. Hunt for Strength is a leading North Jersey provider in both adult training and athletic performance training. Our trainers utilize their education and own personal experience in health and sport to provide an unparalleled training experience. Quite simply, we know the importance of training for optimal health and performance because the sports we played has depended on it.